Networking, cold calling, advertising, thought leadership, sponsorships, cold emailing, publicity, pay-per-click, social media posting, trade shows, direct mail… the list goes on and on and I left many off the list. What they have in common is that they are ways or “activities” to bring prospects to your business. In the beginning of starting your business you may do as many activities as you can as you work to find the ones that provide some kind of return on investment (ROI). And as you hustle and deploy all of these possible activities, there may be one type of lead generation that you desperately want, yet it alludes you. When businesses are starting out, they don’t typically receive clients through referrals. A referral here or there may happen sporadically but rarely is it a consistent method of bringing in new prospects to fill your pipeline. And if it is not consistent, you cannot rely on it which means we typically don’t put focus on it. Because it is not consistent, and haphazard, many new business owners believe that referrals cannot become a sustainable part of their new client generation strategy. And sadly, new business owners aren’t the only ones to make it. In the thousands of conversations, I have had with business owners, in year one or year fifteen, they share a common misconception that referrals are not a consistent, reliable source of new clients. While you may not receive many referrals when you are just starting out, it doesn’t mean you should ignore filling your prospect pipeline with referrals. You just need to adopt a referral mindset and execute on a few key ways to develop referrals, specifically referrals you don’t ask for. We don’t ask for referrals because we don’t want our “asking” to be the trigger for someone to think about us and referrals and if we are constantly asking for referrals, we become the one to avoid at networking events, neighborhood get-togethers, association meetings. We need to create a different mechanism that triggers our clients and people we know to give us referrals. Here are four ways to accomplish receiving referrals without asking. 1. Focus on your client experience. a. Deliver amazing work. This goes without saying but nothing will build your reputation faster. b. Build relationships with your clients that go beyond just delivering quality work. This does not mean all of your clients need to become your drinking buddy or best friend but aim to connect with them so they know you care about them more than just being a client. c. Add in a “wow” to your client experience. You want your clients to say, “I just didn’t expect that from ____” (insert your name and role). 2. Track the source of each prospect. Track each prospects’ name and how they learned about you, whether from a networking event, a cold call, a direct mail piece, or a referral. When tracking a prospect who is referred to you make sure to capture the name of the person who provided the referral. 3. Thank immediately for each referral received. Don’t expect more referrals from someone if you cannot thank them for the one referral they just sent you. Get into the habit of sending handwritten thank you cards within 48 to 72 hours of the referral received. 4. Commit to a referral plan. Just like you have a plan for your prospecting and marketing activities, you need a referral plan to follow. 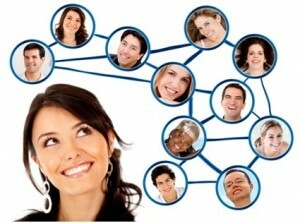 The focus of a referral plan is on your referral sources. For anyone who has referred you, focus on taking care of them, showing gratitude and thankfulness. Make sure to stay away from anything salesy, like asking for more referrals or offering compensation for additional referrals. There is better referral seed language that you can use to build the habit of referring you in your referral source but without you having to directly ask for additional referrals. With “soon-to-be” referral sources (those you want to refer you), you need to start by building a relationship with them and focus on how you can help them. Then continue to cultivate that relationship using the right referral seed language. You will likely deploy many different activities as you work to determine which ones will bring you prospects that you can turn into clients. Though it may not be as easy to start generating referrals, don’t overlook spending time to create a referral plan in your business. A business built by referrals will save you time and make your money. So goodbye cold calling and night-after-night of networking, and hello clients who are ready to buy! 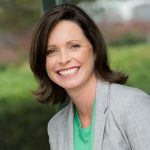 Stacey Brown Randall is a member of the business failure club, a contrarian on how to generate referrals and a supporter of the entrepreneurial dream. She is a three-time entrepreneur, author of “Generating Business Referrals Without Asking: A Simple Five Step Plan to a Referral Explosion“, and host of the Roadmap to Grow Your Business podcast.